Glow Doodle Snake is one of the Highly Addictive Games for iPhone. Over 6 million players are playing this game and its among the top games in countries like US, UK, Germany, Canada, France, Italy etc. This is a perfect game for those who love Snake games. 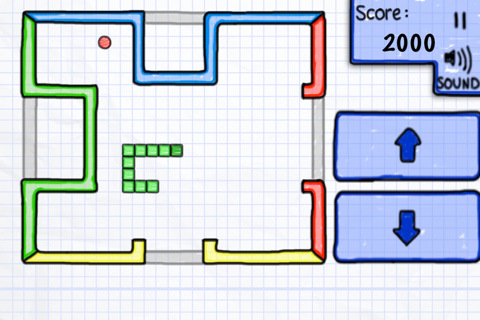 Glow Doodle Snake is an iPhone version of the classic snake game which was popular on the original Nokia phones. Global High Scores - Game Center. 4 texture styles – Doodle & Glow & Winter & Wood.